The fall of the Berlin Wall happened as suddenly as its rise. On the 9th of November, 1989, the Border separating Western from Eastern Germany was effectively opened. 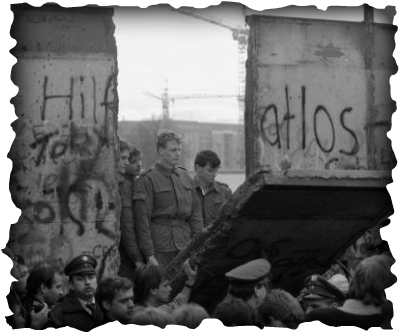 A division between West Berlin and East Germany also symbolized a boundary between democracy and Communism during the Cold War. Its destruction was celebrated around the world. Several times people in the Communist countries like in Berlin 1953, Budapest 1956 or Prague 1968 rised up against the Communist system but they failed. In 1989 the first free labor union was founded in the communist Poland. The end of the communist system had begun. On August 23, 1989 Hungary opened the iron curtain to Austria. Months before East German tourists used their chance to escape to Austria from Hungary and in September 1989 more than 13 000 East German escaped via Hungary within three days. 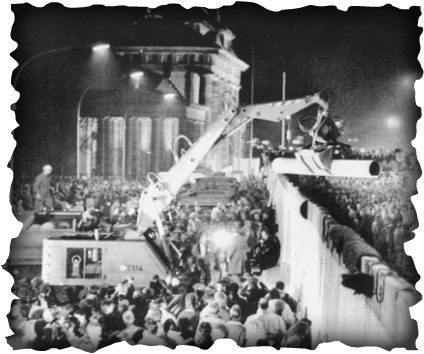 It was the first mass exodus of East Germans after the erection of the Berlin Wall in 1961. Mass demonstrations against the government and the system in East Germany begun at the end of September and lasted until November 1989. 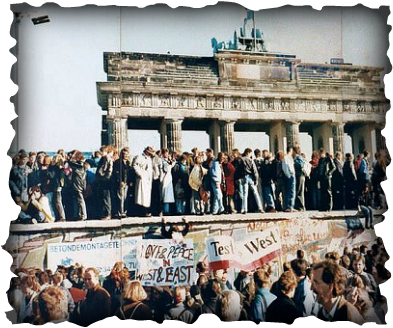 On November 9, 1989 thousands of East Berliners went to the border crossings. At Bornholmer Strasse the people demanded to open the border and at 10.30 pm the border was opened there. That moment meant the end of the Berlin Wall. 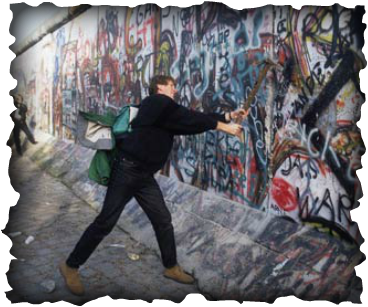 The Berlin Wall was eventually chipped away, into smaller pieces. The pieces have become collectibles and are stored in both homes and museums.After the Berlin Wall came down, East and West Germany reunified into a single German state on October 3, 1990.